The first piece of advice I got when I moved my career into the arts was “Don’t tell people you’re a mother.” You’ll be considered one giant, boring, mockable stereotype. You won’t be considered for as many projects. It will be assumed that motherhood is your entire frame of reference. I know this is not everyone’s experience, but I have bumped up against a lot of that — not only in the arts, but in the writing world, and in life. As a culture, we laud motherhood. We narrow our eyes at mothering. We are so much more than that one part of our lives, but nothing else we are is as all-encompassing, rewarding, demanding, scary, promising, heartbreaking, joyful, or fraught as being mothers. For those of us who gaze at our maternal navels, it’s the push-pull of it all. The messaging – internal and external – about motherhood is replete with contradictions. And if we spend too much time trying to sort it out (after all, the stakes are pretty high) the message is that we’re self-absorbed, that we’ve turned parenting into a gross religion. In a desperate attempt to understand what is baseline normal (Psych! No such thing! ), it can get competitive, or, worse, lonely. Too often in the writing world, motherhood is infantilized and considered a cute niche. We’re called “mommy bloggers” for heaven’s sake, a term that while not necessarily insulting, does not feel overburdened with respect. We’ve sloughed off the memes about yoga pants and chardonnay, and we’ve gotten raw and real about motherhood. LTYM offers up personal stories about motherhood read by the authors. Our stories are our hearts laid bare. What is shared is real, tender, strong, heartbreaking, and hilarious. No one shies away from diving into the depths of motherhood, where we can be afraid and strong, direct and arch, vulnerable and impenetrable. If there is a golden thread that runs through it all, it seems to me that we are cracked open and then put back together over and over again by motherhood. Being put back together isn’t the same as being made whole, though. Often there are rough places and beautiful fissures held together by sheer will and love. This past Sunday, we had our final rehearsal for the Chicago show. I was honored to again hear the stories that reached in and stripped me completely and the stories that wrapped around me in ways I didn’t even know I needed. The stories that made me laugh and cry. The stories of our feet of clay and shoulders of steel. I don’t cry easily, but I cried the tears of being overwhelmed and the tears of being emptied – the tears of motherhood. The stories are beautiful, belonging to the storytellers and gifted to the rest of us. I hope you will give this gift to yourself and to your loved ones. 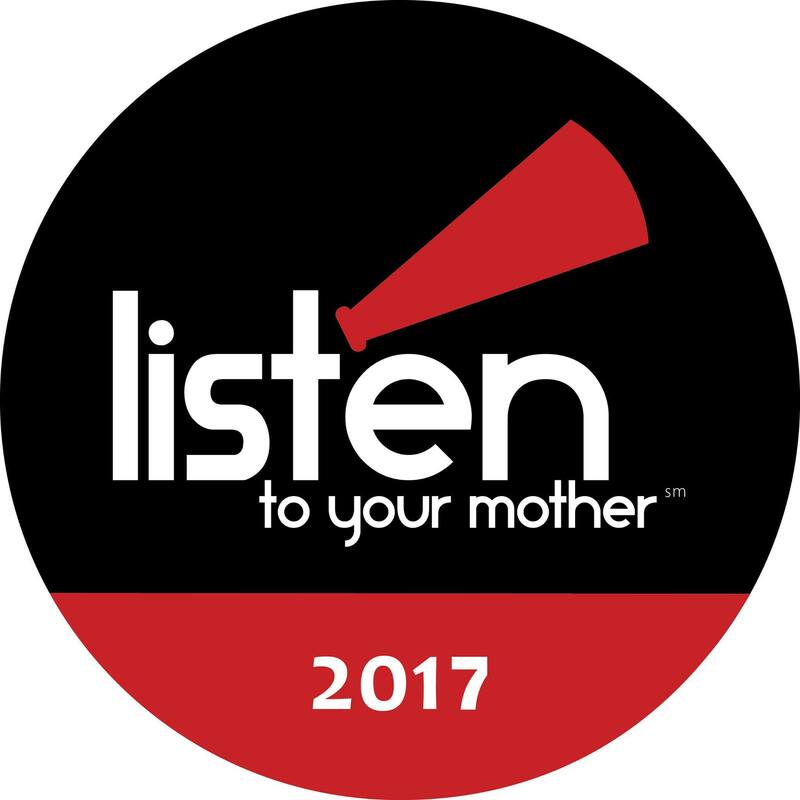 For more information about Listen to Your Mother, or to purchase tickets, please click here. Love this and you’re right: it’s going to be a beautiful show.